Themistius was a philosopher, a prominent Constantinopolitan senator, and an adviser to Roman emperors during the fourth century A.D. 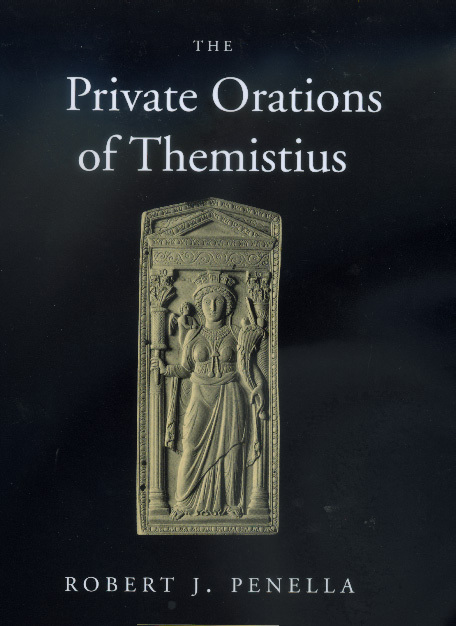 In this first translation of Themistius's private orations to be published in English, Robert J. Penella makes accessible texts that shed significant light on the culture of Constantinople and, more generally, the eastern Roman empire during the fourth century. The sixteen speeches translated here are equipped with ample annotations and an informative introduction, making them a valuable resource on the late antique period, as well as on Greek intellectual history and oratory. 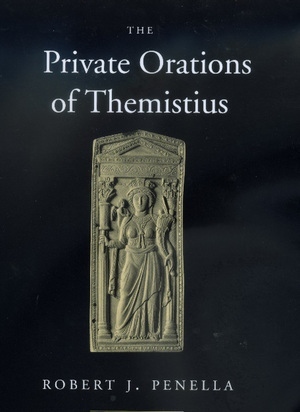 In Themistius's public orations, he played the role of imperial panegyrist, but in the "private" or unofficial orations presented here, the senator concerns himself with apologetics, rhetorical and philosophical programs, material of autobiographical interest, and ethical themes. The speeches are valuable as evidence for the political, social, philosophical, religious, and literary history of fourth century Byzantium, and as examples of pagan ideology and eloquence in the newly Christianized court. Themistius argues, among other things, that the philosopher should be involved in public affairs, that the lessons of philosophy should be broadcast to the masses, and that it is appropriate for the philosopher to be an effective orator in order to circulate his teachings. Robert J. Penella is Professor of Classics at Fordham University. He is the author of The Letters of Apollonius of Tyana: A Critical Text with Prolegomena, Translation and Commentary (1979) and of Greek Philosophers and Sophists in the Fourth Century A.D.: Studies in Eunapius of Sardis (1990).